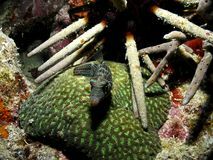 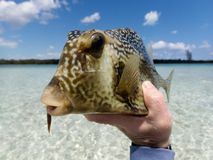 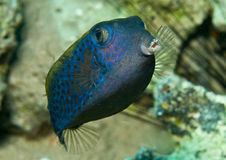 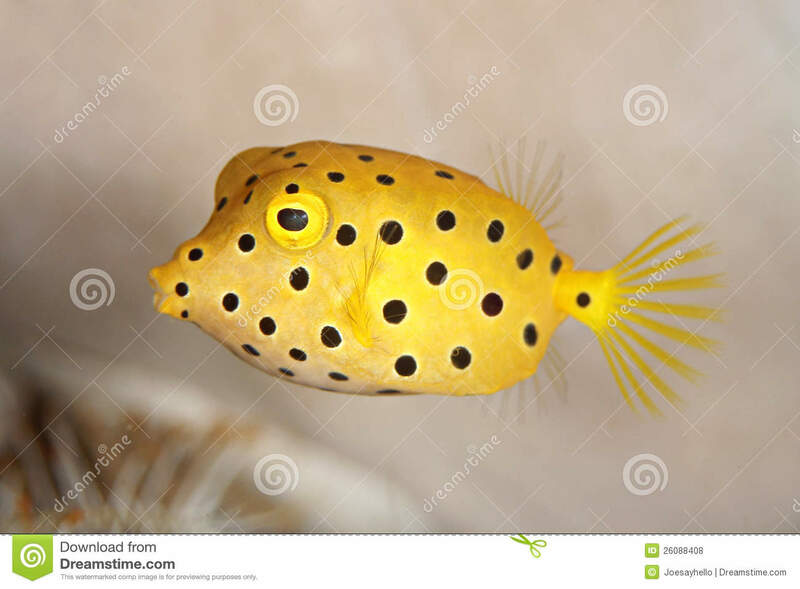 Female yellow boxfish selectively focused Cowfish Trunkfish or Boxfish from Andros, Bahamas Boxfish on a coral in Indonesia Closeup of mating spotted boxfish Ostracion meleagris in the water of Bali Marine Fauna, Boxfish Can I have a kiss? 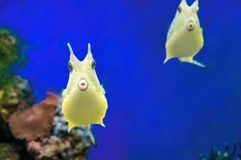 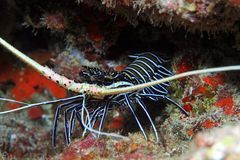 Cute Longhorn Cowfish ridiculous exotic coral fish. 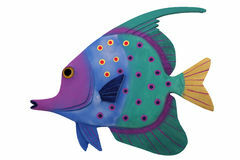 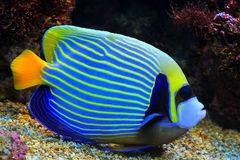 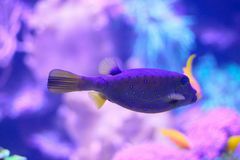 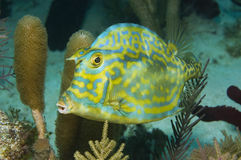 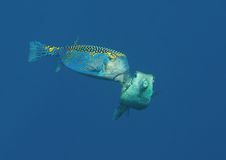 Yellow tropical funny fish on blue background. 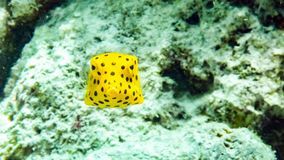 Fish Baby yellow boxfish Ostracion cubicus in the Maldives.